So here it is: a little series about what gear I use and why. I’m going to break these up into small, bite sized pieces so that it’s a little more manageable. And please note: I’m going to write about the gear I use and/or have had experience with. You can assume that if I don’t name whatever item you’re wondering about I have no opinion on it. There’s tons of manufacturers out there making gear at all (well, most) budget levels so if you have experience with a specific item/brand please feel free to leave it in the comments! My general approach to buying gear is to buy the best quality that I can afford. As you’ll read in subsequent posts I haven’t always followed that (read: I’ve bought some pretty cheap gear) and I’ve almost always regretted it. Hopefully this series will help prevent you from wasting money on cheap/bad gear. Another important note: One of the main reasons I’m writing this post is to appeal to the masses who have emailed me with questions about my gear. Also for the followers of my blog. 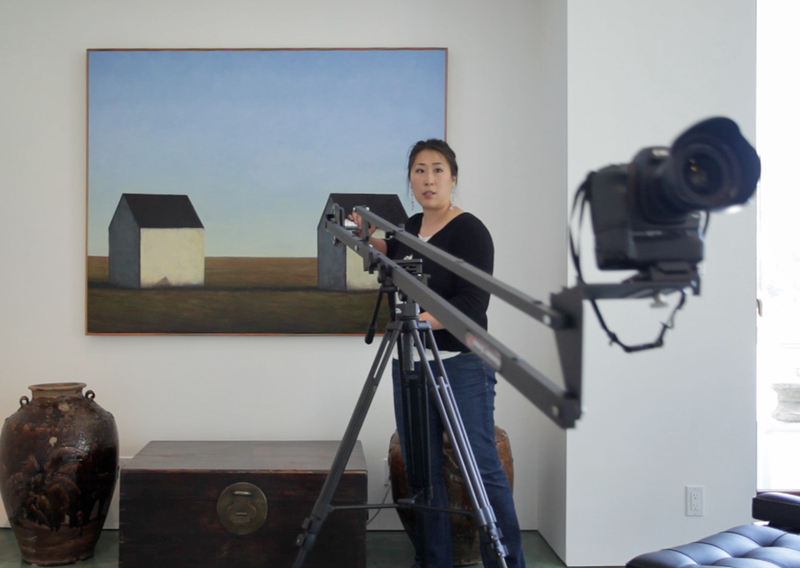 My assumption is that those who are interested in this series are interested in the style of real estate video I shoot. I acknowledge that there are other styles of video and gear that goes along with that however, since that’s not my style, I won’t be writing about it (ie: I’m not going to write about steadicams). This is the basic list. As I’m sure you guys know videography, just like photography, can be an endless money pit. Thousands can be spent on things that aren’t quite necessary but hard to imagine working without. Here are a few things that if you have them already use them! If not, put them on your wish list! I have a list somewhere of “wish list” items but I’m totally drawing a blank right now. I’ll continue to update this list as I remember things that I’ve wished over the past year. Very timely Malia... I just upgraded to a 5D three weeks ago. One of the reason for getting this camera was I want to look into what goes into video for real estate. Sweet! Did you get the Mark 2 or the Mark 3? I love my 5D2. Seriously LOVE it! Can't wait to see what you shoot first! Mark 3. There are a number of things (hardware & software) I need to get. first I need Video Tripodand head. Any suggestions? Thanks. I will for sure! Malia, thanks for starting this. If I can ask, while you are adding more parts, will you be discussing techniques using these items? For example, when or where would a slider get the effect you are looking for versus simply panning or zooming? I know its about style and creativity rather than "rules" but being able to see where a particular technique or tool would benefit the presentation would be helpful. Kinda like you and Scott have done on the stills and lighting. Hi Mike! For this particular series I'm not planning on really getting into shooting technique or style, just focusing on gear. I know you asked about slides vs pans just as an example (your underlying question about style is a HUUUUUUUGE subject that maybe I'll tackle in a different series) so I'll say this: I never pan unless I absolutely have to. And by "unless I absolutely have to" I mean someone is holding a gun to my head and telling me they want a panned shot. :) And I know, I know... before all of you internet archive experts dig up my past I'll admit to using a pan every now and then. But I have a lot of bullet holes in my head that you don't see. Thanks and that makes sense. You're right about style being such a huge subject and I had trouble trying to have the question make sense. I remember seeing a video a while back, that I think was Allan's, where he was using a crane on the front wheel and landing gear of an airplane and made me realize that a DSLR video could make someone say Wow. Unfortunately, trying to get this same impact on a house hasn't been as rewarding as I'd like but I'll never give up. There was a house I had shot with an infinity pool which had a lake behind it before I got video capability and I thought it would be a good place to try it at. But alas, there haven't been any houses come up since then I could try it on. Oh well - onward through the fog. Malia, What kind of video tripod are you using? I have seen the challenges in trying to use my photo tripod (manfrotto 055x pro) with the manfrotto 501 video head. Adjusting the tripod legs to get level is a serious pita! I really like the look of your kessler head but that probably means purchasing a new tripod too? Hey Malia - what is the make of the jib you have in the photo... also how long is it? looking into this and you are the EXPERT! for sure. Thanks for the info. Hi Malia, Did you ever post somewhere about the video tripod you use? Can you use that for taking photos too? Thanks. Not yet. At this point I'm deciding whether I'm going to write a post or do a video post about it. If I ever have time... I guess you *could* use the tripod for photos but I wouldn't. I'm not sure you can mount a regular (ie: non-video) head on the legs and so you'd be extremely limited in things like fine tuning, shooting from small/tight spaces, etc. Also, you don't a telescoping post feature (or whatever that's called) so if you need to lift the camera you'd have to adjust the legs (that's true for tilt as well). Not impossible, just not something you'd ever want to deal with if you could avoid it. I'd rather shoot stills handheld than on my video tripod.